Our Weather Policy: Oriole makes an effort to ensure that students receive the number of classes advertised in the course catalog. However, it may be necessary to cancel classes at times due to unforeseen circumstances, such as weather. Our normal policy is that Oriole classes will be cancelled when Baltimore County schools are closed for the day due to inclement weather or if they have an early dismissal due to snow, sleet, high winds, etc. (not heat). If an instructor believes that the schools have been over cautious in closing and wishes to hold classes, they may discuss this with the respective training director and if they agree to hold class, contact the students to advise them. 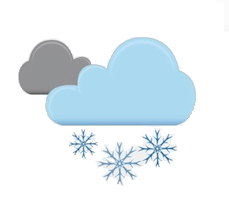 Instructors will attempt to schedule make up sessions for any classes cancelled, keeping in mind that if there are a large number of weather related cancellations, rescheduling may not be possible before the start of the next session. Oriole does not have a heat cancellation policy. Instructors who believe that the heat is so excessive as to create an unsafe situation may cancel class by contacting their respective students.